Making A Purchase Making a purchase could not be easier. Just browse our Catalog, and click on any items that you wish to buy and put them into the shopping cart. After you have finished your selection, click on "Order" and you will be asked for a few details that we need to be able to satisfy the order. We are not shipping foreign orders at the present time. We are retailers that sell directly to the consumer, so no wholesale orders are accepted. Now, let's take a look at sizing. When ordering coveralls remember to order "coat" or chest size. The same size as a suit or sportcoat. If you want these coveralls for work, get them plenty big so they will be easy to get off and on. 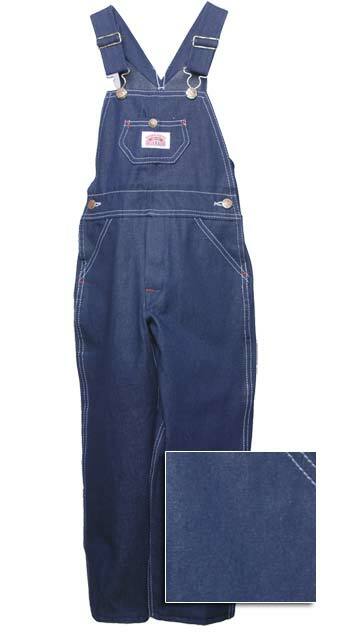 When ordering overalls, make sure that you order a size bigger than your regular waist pants. The reason is that overalls must come up and over your stomach. Using a tape measure around the biggest part of your stomach will give you an indication about size. 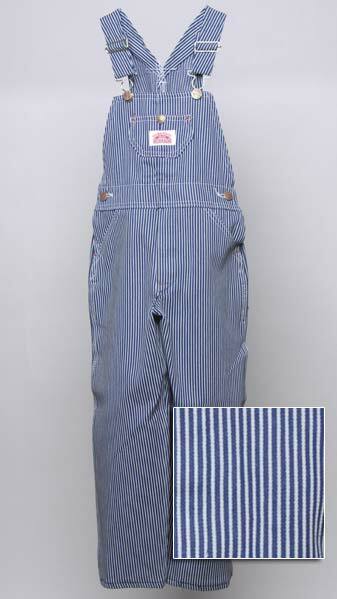 Usually, people buy overalls 1 or 2 sizes larger than their pant size depending on the size of their stomach. Shipping And Handling Our current shipping and handling charge is $8.98 per order to customers in the continental United States. We do have a number of products that have FREE SHIPPING. They are indicated on our website beside the product. Free Shipping applies to those products only. Free Shipping is one way. Order returns are returned at customer's expense. If other products are added to an order that do not qualify, the standard $8.98 will apply. Shipping charges generally are not refundable unless our shipping error or defective goods. We are not shipping foreign country orders at this time. Shipping is $8.98 no matter what size order you send us. One exception is large cushion items such as bed wedges. These are oversized per UPS standards and we must charge the actual shipping charges for those items. If actual shipping applies to an item, there will be a note in the product description. To find out the actual shipping on those items, just call us at 1-800-962-6166. The $8.98 shipping charge applies to US Priority Mail shipments to the upper 48 states. Hawaii and Alaska residents pay actual shipping charges, if more than $8.98. We reserve the right to ship by US Postal Service. UPS has become very expensive, so if requesting UPS; actual shipping charges are applicable. If your mailing address is different; please provide both physical address and mailing address. UPS is now charging us a $15.00 fee if your delivery address is incorrect, so please make sure that your street address is completely correct including direction letters like N S E W, apartment, unit, suite, floor, or room numbers. UPS is usually only used on larger and heavier orders. Other shipping requests must be called into our officies during regular business hours. For example, if you want Overnight delivery or 2nd Day Air expedited shipping; you would need to give us a call or email us after placing your order. Actual shipping charges will apply on expedited delivery or changes to our regular UPS Ground shipping over the regular $8.98 charge. Shipping is charged on exchanges. Our office hours are Monday through Saturday 8am to 5:30pm central time. Call us toll free at 1-800-962-6166. Our email address is etreavisandson@frontiernet.net. Delivery Schedule We deliver your order right away. Most orders are shipped the same day that we receive them. You will normally receive your order within seven business days. Most times less than that. Special circumstances do occur sometimes. Holiday periods often cause longer shipping times. We use UPS Quantum View to notify you when shipping your order if we are provided a valid email address. This will give you a tracking number and approximate arrival date. We use USPS Delivery Confirmation when mailing your order. If you have a concern about getting a certain product, please call our toll free number at 1-800-962-6166. If an item is out of stock at the time, we might be able to let you know when we will have more in stock. Please remember that payment by personal check will delay your order by 10 business days to allow the check to clear banking channels. You may avoid this by using a credit card or money order for payment of your order. Back Orders We will back order an item if new inventory is expected to be received within a few days. No further shipping will be charged on the backorder items when they are shipped, and we will not charge your credit card for the backordered item until the day we ship those out. If you do not want us to backorder any items on your order, please let us know by emailing us at etreavisandson@frontiernet.net; or give us a call toll free at 1-800-962-6166. Tax Charges For orders made from within the United States, sales tax will be apllied to all orders delivered to a Tennessee address. Our business is operated out of and is physically located in Tennessee. Please make sure to click the exempt box to reduce tax to zero if your order is not being shipped to a Tennessee address. We are retailers only. No wholesale orders accepted. If you have questions, call us at 1-800-962-6166. Most states require that you the customer pay a "sales tax or use tax" to your State Dept. of Revenue or Tax Commission based on your current sales tax rate where you live when you order from an out of state retailer like us. Even if we do not collect sales tax for your state, that does not mean that you do not owe sales tax/use tax to your state on your purchase. Please contact your State Dept. of Revenue in the state where you reside for more information and how you can comply with the laws in your state. Several states have specifically passed recent laws concerning their residents paying sales taxes on their out of state purchases. Credit Card Security All credit card numbers are encrypted in the software when the order is placed using up to 256 bit Secure Sockets Layer encryption. They are only decrypted after they reach our computer. They are not held in clear text on any web site. We use Go Daddy SSL Certification. Please click on the Go Daddy logo at the bottom of our homepage for confirmation. We are PCI compliant. Guarantee We guarantee your satisfaction. All of our merchandise comes with a 30 day money back guarantee. Should you find it necessary to return any merchandise, please keep all original tags and packaging materials and include them in your return shipment along with a copy of your invoice. In our efforts to serve you better, please tell us your reason for the return; and if you want a replacement or refund. You may write your instructions on the invoice copy or on a seperate sheet of paper with your order number. Refunds are issued on garments/items returned to us in the original condition or if defective. 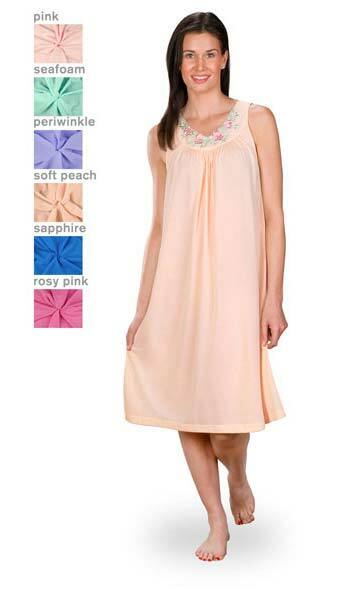 Please leave the tags on the garment until you decide if you wish to keep the garment. Please do not wash or alter the garment until after you try it on for size. Shipping charges are not refundable except for our error. Returns should be sent to the following address: E. T. Reavis & Son, Attn: Return Goods Dept., 108 Wilson St., PO Box 198, Dresden, TN 38225. You may send by UPS, DHL, FEDEX, or the US Postal Service. Reaching Us If you need to reach us, please email us at etreavisandson@frontiernet.net; or you can call our toll free number at 1-800-962-6166. Write to us at 108 N Wilson Street, PO Box 198, Dresden, TN 38225. And if you are ever in the Northwest Tennessee area, please stop in and say hello. We are located on the downtown "Court Square" in Dresden. Returns Policy Want to return something? No problem. Just make sure to include all the tags and a copy of your invoice. Credit will be given if garment is returned in original condition, or if item is defective. Please do not wash or alter the garment before trying it on and deciding whether or not you are going to keep the item. We cannot give credit on items that have been altered or laundered unless they are deemed defective. Please leave the tags on the garment until you decide whether you want to keep your purchase or return the item. Please write on the invoice whether you want to exchange for another size or color or if you want us to credit your credit card. Shipping charges are not refundable. Orders are returned at customer expense. We would ask that you send your returns within 30 days of receipt. Shipping is charged on exchanges. Send all returns to: E. T. Reavis and Son, 108 N Wilson Street, PO Box 198, Dresden, TN 38225. ATTN: Returns Department. If you have any questions, please call us toll free at 1-800-962-6166 or email us at etreavisandson@frontiernet.net.